In Contra Costa County, Medi-Cal applications are going untouched. In Santa Clara County, nonprofits are fielding questions from anxious clients wondering if using public benefits could cost them a chance for a green card. And across California and around the nation, immigrant families have stopped signing up for food stamps, according to the American Public Health Association. Even though a proposed Trump administration policy targeting legal immigrants who use public benefits hasn’t taken effect, its impact already is being felt, say local officials and nonprofit groups. At issue are proposed revisions to the “public charge rule,” which analyzes how likely an immigrant is to become dependent on government help. The U.S. already has a public charge rule in place, but a new Department of Homeland Security policy would expand the types of taxpayer-funded benefits that are used to determine if an immigrant is too dependent. If so, the immigrant can be ruled ineligible for a green card or to renew a temporary visa. Under the administration’s proposal, the definition of public charge would be expanded to include non-cash benefits, such as food stamps, Medi-Cal and housing assistance programs. 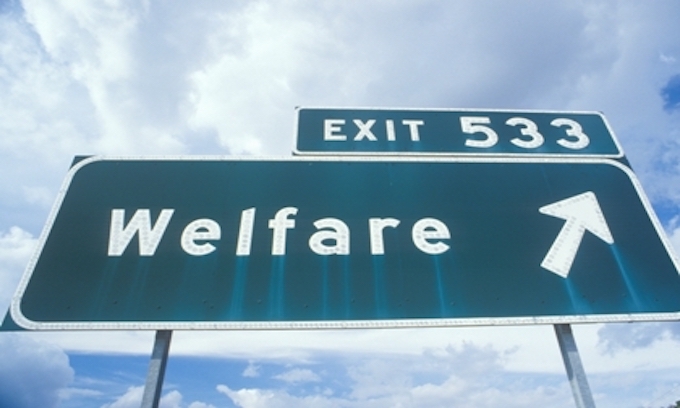 Cash benefits, such as welfare and Temporary Assistance for Needy Families, are already part of the current definition of public charge. Experts warn that a significant “chilling effect” could keep thousands of qualifying immigrants — even those who would not be affected, like naturalized immigrants or current green card holders — and their relatives from using benefits due to fear or confusion. That could have devastating consequences for low-income people who need health care, food stamps, or other social services as they integrate into a new country, experts said. Healthcare providers and nonprofits say they’re already seeing an impact. About 41 percent of non-citizens in the Bay Area live in families that use at least one of the four public benefits considered under the new policy, according to data released by the Migration Policy Institute earlier this month. The nonpartisan think tank, based in Washington, D.C., crunched Census Bureau data to estimate how many people would be affected by the change. Contra Costa County would see the largest impact in the Bay Area. There, an estimated 49 percent of non-citizens living in families use at least one of the benefits that could be considered in the proposed policy, up 3 percent from the current policy. Many low-income immigrants have migrated to the county in recent years in search of cheaper housing, according to Kathy Gallagher, director of Contra Costa County’s Employment & Human Services Department. The concept of public charge dates back at least to the Immigration Act of 1882 and refers to anyone who is “primarily dependent” on government assistance, meaning more than half their income comes from public assistance. The issue doesn’t affect undocumented immigrants, because they generally aren’t eligible to receive federal benefits. The new policy would also characterize “negative” factors — such as limited English skills or the lack of a high school diploma — that would increase the likelihood of someone becoming a public charge to their community. Since his election, President Donald Trump has cracked down on immigration, fulfilling a campaign promise to get rid of “open border” policies, reform legal migration rules and keep out immigrants who rely on public assistance. But that doesn’t mean Trump is seeking to push out legal immigrants with policies like his public charge rule, said Joe Guzzardi, spokesman for Progressives for Immigration Reform in Washington, D.C., a nonprofit that advocates for stricter immigration policies. “Federal law generally requires that immigrants be able to support themselves financially and not be dependent on a public benefit, like welfare,” a DHS official said in a statement. About 22.7 million non-citizens and their U.S.-citizen family members are in families that receive public benefits, according to the Migration Policy Institute, which estimated that up to 4.5 million people could un-enroll from public assistance programs in the decades to come if the new rule is implemented. Santa Clara County would be least affected in the Bay Area by the public charge rule, the Institute’s data shows. But local nonprofits are still worried. With a federal public comment period on the proposal set to close Dec. 10, local and national nonprofits and public health leaders have expressed fear the new policy will scare qualifying immigrants away from getting the assistance they need. Some people have even stopped using public libraries, according to Batalova. “The fear has been rippling through these communities,” she said. I couldn’t help but notice that the “caravan” from Central America by-passed the closer and less protected US boarders in both Texas and Arizona, in favor of crossing the boarder into the self-proclaimed “sanctuary-state” of the People’s Democratic Republic of California. I guess they may not be educated; but, they don’t seem to be uninformed. GOOD. Anything that keeps these leeches getting on our welfare rolls, i am all for. Now teach them to speak English and we’ve got real immigrants. Let ’em prove themselves for a few years and we’ve got real Americans. Conservatives are not xenophobic or haters of immigration. We just don’t like the invasion we have today posing as immigration. If it was real immigration, nobody would want to build a wall. And many of us were saying for years, that if you get rid of the socialism-based govt freebies you would attract the hardest workers from other countries. In fact, the Mexicans would likely grow upset that we were poaching all their best people. This is America. I want the best of everything. Hard working real Americans who just happen to come from Mexico is a very good thing. But if they never learn English they will never be “real” Americans. They will toil away in fields and fixing roofs and never have any upward mobility. Pretty much indentured servants. That’s what the Dem and GOP elite want though – an eternal servant class. That’s not America. Exactly. Conservatives are OK with immigration, as LONG AS ITS DONE LEGALLY! But the longer we keep ignoring the issue, and letting in illegal aliens by the thousands, the more some of us, balk at even LEGAL immigration. The San Jose paper keeps referring those seeking a green card as “immigrants;” when what they are really talking about are illegal aliens. There seems to be an inordinate amount of anxiety expressed over the fact that those who are here illegally are not universally availing themselves of US taxpayer social-welfare programs and the largess of the federal government. Frankly, I think that Pres. Trump & his administration have hit upon an ideal screening process: those that esteem the ability to work for a living should be ahead of those that have come to the US to take advantage of welfare programs. Frankly, those that are NOT here to take advantage of “free-stuff,” will likely be same people who are interested in learning the language, assimilating into the American culture, becoming naturalized citizens, honorably working, and willing to pay taxes. Once we build the wall and affirm that illegal boarder-crossings rare, THEN we can begin a national dialogue as to what to do with the millions of “immigrants” that are already here illegally. Five stars, two thumbs up and a snap!! Yes! Freedom and Free stuff are at odds with each other. IMO that’s EVERY leftist news source out there.. THEY hate anyone who uses the CORRECT LEGAL term of illegal alien. SO they, themselves, will never use it. “Experts say”……..The dependent newcomers may be afraid and confused. But not too afraid to run voter ID scams or too confused to register to vote Democrat/Socialist. They don’t have to figure out about registering in CA the DMV does that for them. The DMV registered over 100,000 people who were not citizens before it was found out and not by the DMV. I always love it when people say there can’t be that many illegals voting. As we have seen in other parts of the country 1 vote was the difference between winning and losing. And of course all these NGO groups are crying because they won’t have jobs handing out our tax dollars if no one signs up. We really do need that wall. Just hate that any animals that use the river will not be able to. Wish we could build the damn thing right down the middle and let them figure out how to climb it while floating. Guess you can’t have everything. Max, that’s because they know voter fraud out in Commiefornia, won’t get punished. So why would they be afraid..